With so many places to eat in San Francisco, I felt that the fact I had been to West of Pecos twice in the last month was reason enough to do a little post up here of it for others to become aware of ( if you weren’t already ) and enjoy! First time we went was on a Friday night where we sat at the bar and ordered food. Quick friendly service and fast. We ordered the vegetarian puffy tacos and the artichoke – both amazing! The cocktail options are plentiful … I love a nice mezcal drink but their marg/sangria slushy is a must try… they run out often so ask about it. The food is fresh and feels light and healthy while still being authenticly tex-mex… does that even make sense? Bottom line its DELISH. and bonus if you go on Tuesday they have yummy tacos for 2.50, talk about a deal! The shishito peppers were a great app for the table to share! Side Note : This is a great spot for dinner if you are going to a show at the Chapel. I plan to go back many times and often for their amazing combo of cocktails and great food. 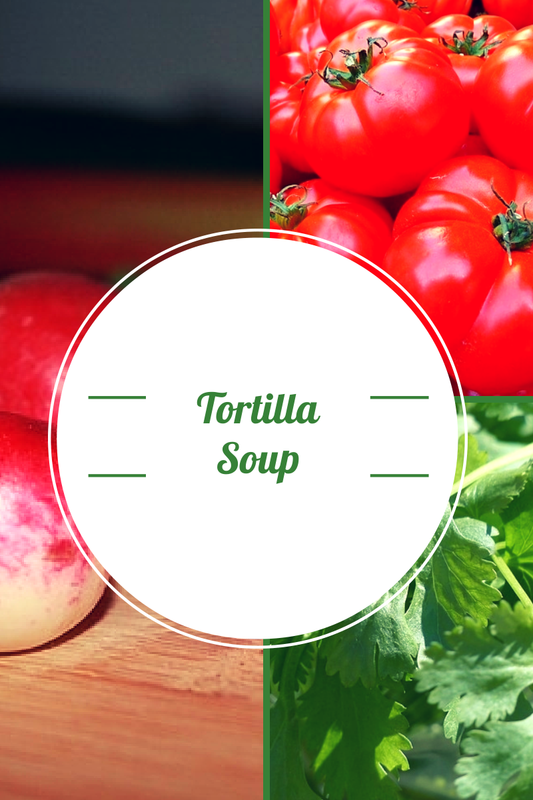 This is an amazing tortilla soup, and super easy! What I love about it most is that you can pretty much add in what ever you have in the fridge, convenience at its finest! 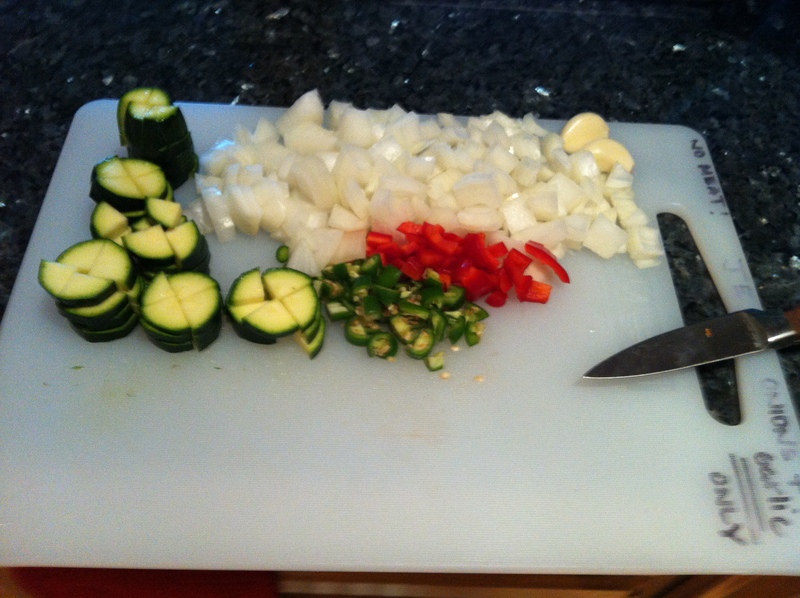 Next, I rinsed, chopped and minced all veggies. Put oil in a large pot on medium heat until hot. 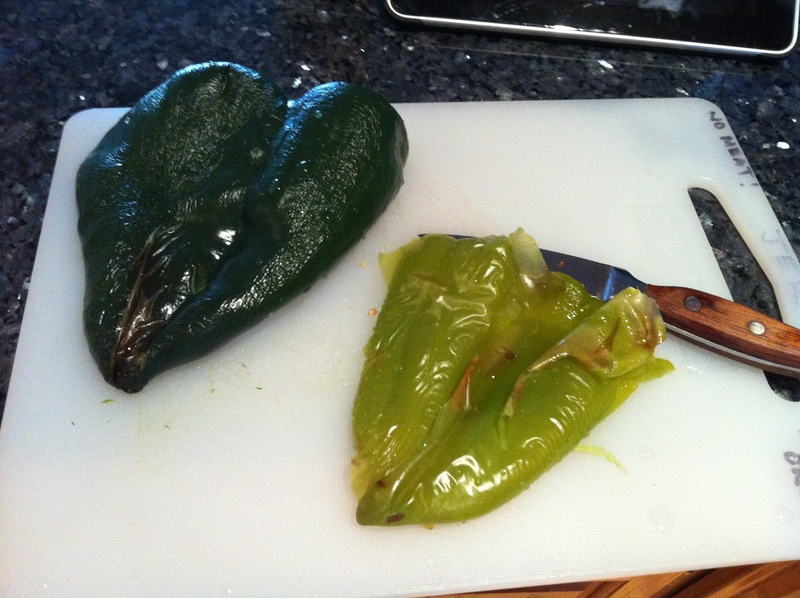 Then add onion, garlic, jalapeno and poblano peppers. Cook for about 5 minutes, until soft and translucent. 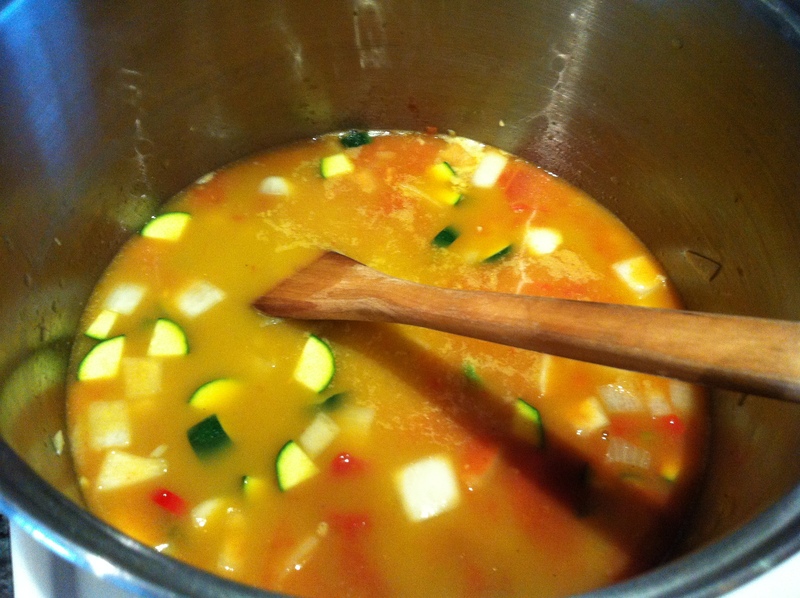 Stir in the cumin, canned tomatoes and vegetable stock. Let cook for 3 minutes and then add the black beans. Continue cooking for 8 to 10 minutes, or until slightly thickened, add seasoning to your likening. Your ready! 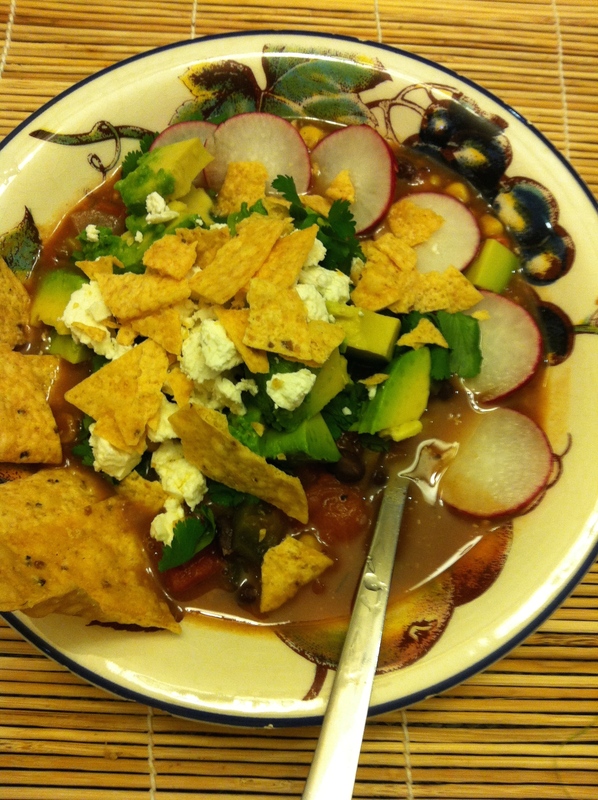 Serve the soup into bowls, then add the avocado, radishes, tortilla chips and queso fresco (feta), topping with cilantro and serving with a lime wedge.